– prejudice, discrimination, stereotypes, psychological underpinnings of belief in conspiracy theories. Ph.D. , Faculty of Psychology, University of Warsaw, Poland. (10/2017) Doctoral dissertation written under the supervision of prof. Mirosława Kofta, supporting supervisor: Aleksandra Cichocka. Principal Investigator of the Polish National Science Center General Grant:”Autobiographical memory in the service of the self – on the role of visual perspective in retrieving self-threatening events among individuals with secure and defensive self-esteem. 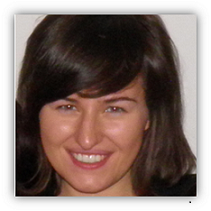 (3) the Faculty of Psychology Research fund (PI: Aleksandra Cichocka): „Self-esteem and ideology”. Research Assistant in the Faculty of Psychology Research fund (PI: Ewa Czerniawska): „Visual perspective in autobiographical memory”. How to measure behavior and mental functioning? Methodology with elements of psychometrics, use of computers in statistics (practical workshop). Marchlewska, M., Cichocka, A., Panayiotou, O., Castellanos, K., & Batayneh, J. (in press). Populism as identity politics: Perceived ingroup disadvantage, collective narcissism and support for populism. Social Psychological And Personality Science. Cichocka, A., Golec de Zavala, A., Marchlewska, M., Bilewicz, M., Jaworska, M., & Olechowski, M. (2017). Personal control decreases narcissistic but increases non-narcissistic in-group positivity. Journal of Personality. Kobylińska, D., & Marchlewska, M. (in press). Orientacja na działanie a regulacja emocji. Psychologia, Etologia, Genetyka. Marchlewska, M., Czerniawska, E. & Oleksiak, K. (2016). Sniffing the mood for cooperation: Personality and odor induced affective states effects. Polish Psychological Bulletin. Bilewicz, M., Soral, W., Marchlewska, M., & Winiewski, M. (2015). When authoritarians confront prejudice. Differential effects of SDO and RWA on support for hate speech prohibition. Political Psychology, vol.38 (1), pp. 87-99. Cichocka, A., Marchlewska, M., & Golec de Zavala, A. (2015). Does self-love or self-hate predict conspiracy beliefs? Narcissism, self-esteem and the endorsement of conspiracy theories. Social Psychological And Personality Science. Cichocka, A., Marchlewska, M., Golec de Zavala, A., & Olechowski, M. (2015). „They will not control us”: In-group positivity and belief in intergroup conspiracies. British Journal of Psychology. Aug 2016; vol. 107(3), pp. 556-76. doi: 10.1111/bjop.12158. Cichocka, A., Golec de Zavala, A., Marchlewska, M., & Olechowski, M. (2015) Grandiose delusions: Collective Narcissism, Secure In-group Identification and Belief in Conspiracies. In M. Bilewicz, A. Cichocka, & W. Soral (Eds. ), The Psychology of Conspiracy. London:Routledge, pp. 42-61. Soral, W., Marchlewska, M. (2015). Nierówności dochodowe jako źródło uprzedzeń. W: A. Stefaniak, M. Bilewicz, M. Winiewski (red. ), Uprzedzenia w Polsce (s. 227-252). Warszawa: Liberi Libri. Bilewicz, M., Marchlewska, M., Soral, W., & Winiewski, M. (2014). Mowa nienawiści. Raport z badań sondażowych. [Hate speech. Research report]. Warszawa: Fundacja Stefana Batorego. 2017: „START” Fellowship from the Foundation for Polish Science (FNP) for the young researchers.